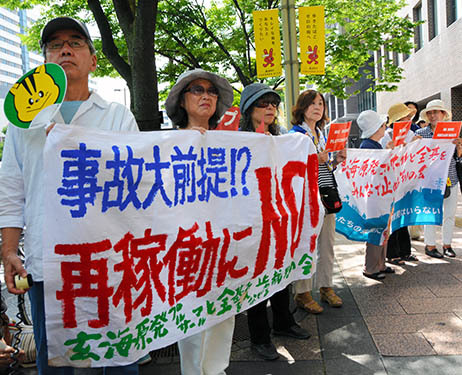 In spite of these real life-threatening factors, the Japanese government has restarted its nuclear reactor program in Sendai for first time since Fukushima disaster, despite widespread public opposition. 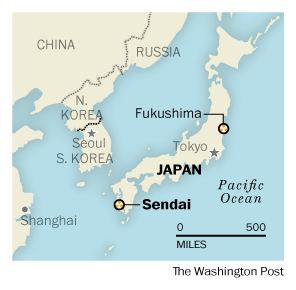 The Sendai nuclear reactor is located on the southern-most main island of Kyushu. 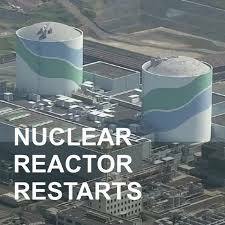 A second reactor in the Sendai plant is expected to be activated in the coming months, and 20 more reactors are in the process of inspection and reactivation. It continues with a scary example: the Sendai reactors – located in a coastal seismic zone – are also surrounded by volcanoes. This includes the active Mount Sakurajima, 40km from the reactors, and the large Aira caldera or “super volcano”. On 2nd November, scientists from the Volcanological Society of Japan called for the nuclear regulator to review its volcano guidelines. The Society stated that the NRA’s approval for nuclear plant restart is based on the ‘questionable’ belief that it will be possible to predict a major eruption of volcanoes near nuclear reactors. To ease tensions, the government has promised “to take full responsibility” in the event of an accident. BUT once the accident occurs, what can the government possibly do? Look at Fukushima four years later. 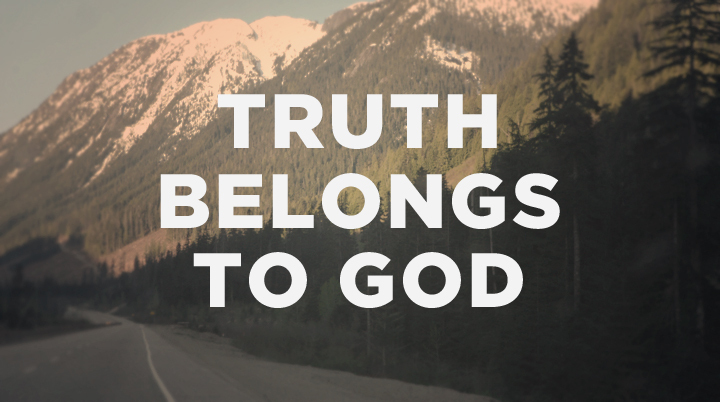 What does it mean to take responsibility after the fact?? Lots of empty words at the expense of the lives of ordinary citizens. PREVENTION before the fact is the only solution. 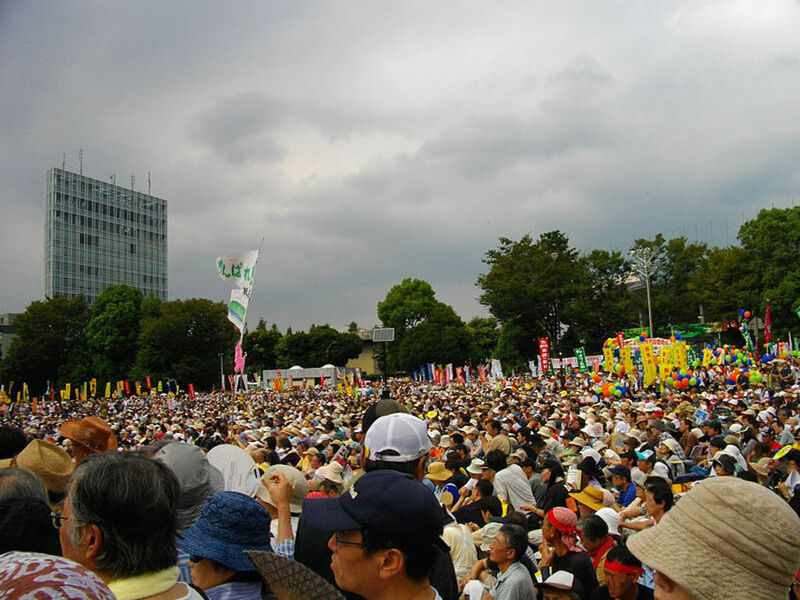 There is a widespread Japanese public opposition, nearly 60%. A nation’s “Democracy is based on the voice of its people!” Throughout the world we see a continuous trend of “ignoring the voice of its people” expanding within the walls of Democracy. Do we really have a future based on true Democracy? Or are we gradually turning into a world ruled by dictators and having them call it democracy? I don’t think it is nuclear power technology that is the problem. It is contractors cutting corners and building substandard facilities that are sooner or later going to cause problems. Unless the building business changes and we have honest contractors who don’t cut corners to squeeze more profit, we have no business endangering the world with shoddy constructed nuclear power plants. If there is a problem with contractors, that is the smallest part of the problem. Japan is located within the geographic zone known as the “Pacific Ring of Fire.” There are many active volcanoes there, and many earthquakes. There will certainly be more earthquakes and more volcano eruptions. To some extent, Japan has learned how to build buildings that are less vulnerable to earthquakes – but when you are talking about multiple nuclear power plants, it is actually quite likely that there would be damage to a plant in an earthquake, with release of radiation. It is huge problem to the entire world because the radiation does not go away – it will contaminate our oceans and our fish, if they live, for the next century. Tsunamis are also associated with earthquakes in the Pacific Ring of Fire, and these also will no doubt occur again in that region, with release of radiation. The Fukushima disaster was bad enough, and we have not yet seen all the global consequences- but it is quite possible, perhaps likely, that there will be more such events, and much greater consequences are possible. Here in the U.S., just for example, there are regulations in many places, that people should not build homes in a flood plain. They may live happily in their home for some time, but then – a flood comes, because they are in a flood zone, and the home washes away. 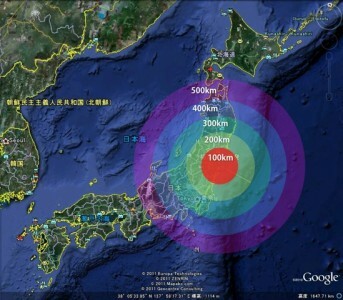 But in Japan, they are in an earthquake zone – the earthquake may not come right away, but one will come again. They have building regulations to assure that buildings are built to withstand an earthquake if possible, but – no one can predict exactly when, where and how strong the next earthquake will be, and there will certainly be one. Japan has had many. There are no designs for nuclear reactors that are guaranteed not to leak radiation in a tsunami or an earthquake. 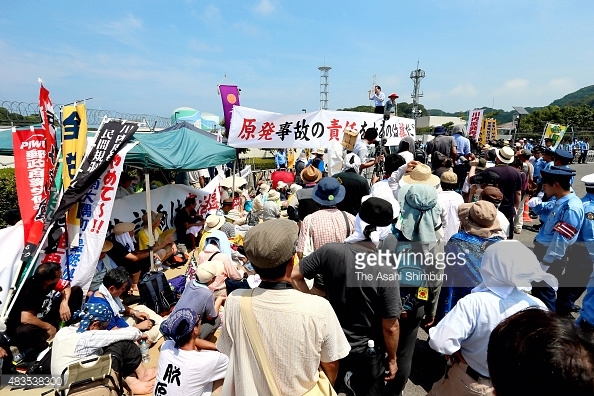 Japan is putting its citizens and the world in grave danger.